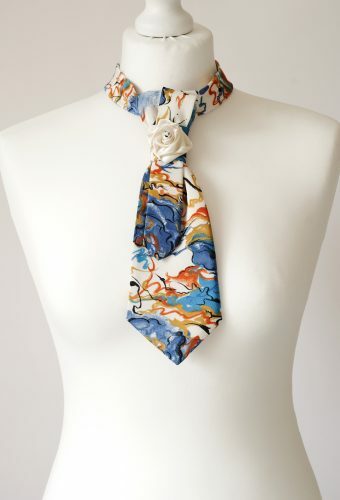 Floral Necktie Handmade from Two Vintage Ties and Decorated with a Hand Rolled Rose. 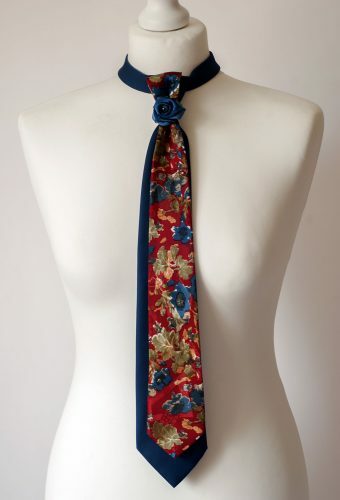 It’s Pre-Tied and has a Button and a Loop Closure at the Back. 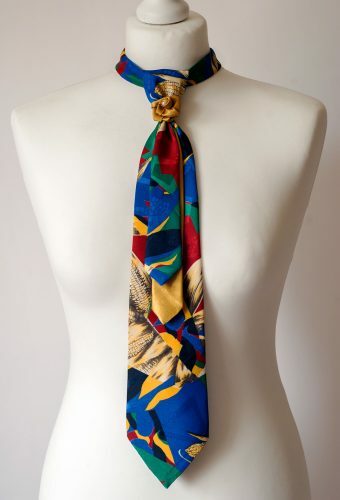 Wear it as a Necklace or Under a Shirt Collar. 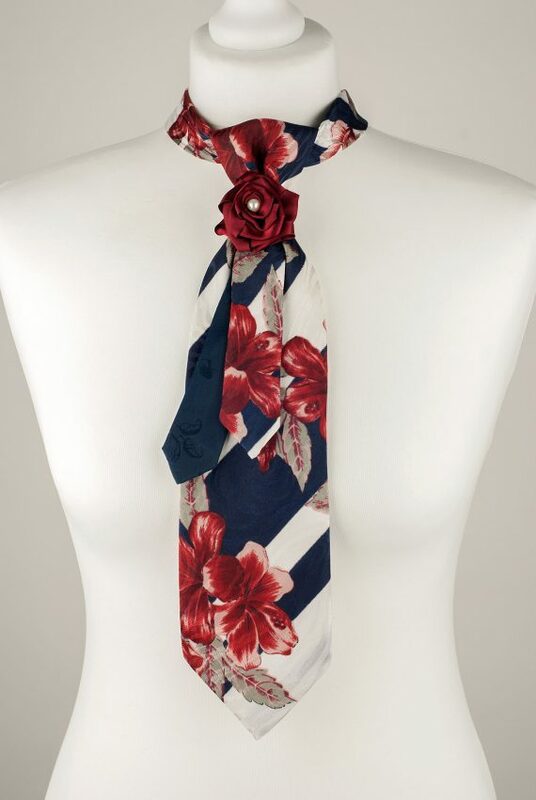 For a Stylish Lady who Dares to be Different.